Panerai is something of a special story for Chronopassion. Yes, in more ways than one. For one thing, we go back a very long way. I first met Angelo Bonati fifteen years ago, in 1998. But that wasn’t the beginning of the adventure, because I had already worked with Franco Cologni before that. So it’s a firm that we have a lot of history with. Times change but Panerai’s still there! You too are someone who doesn’t change! The special thing about our relationship is not what is said, but what remains unsaid. We never have to say more than a few words to each other. I don’t need long explanations. That’s true both for positive things and when it comes to criticism. I very much appreciate how frank we can be with each other. Even if I don’t always listen to your suggestions – which is just as well! Yes, Panerai’s outstanding attributes are its constancy and meticulousness. It’s a very businesslike enterprise. Over the last twenty or thirty years, I’ve seen too many brands bewitched by siren songs and head into fatal territory. The main thing is to be consistent. Laurent must have shaken you up a couple of times though, surely – as is his wont? Yes, he definitely has! I’d say he’s a kind of discrete egotist. He knows exactly what he wants. We’ve worked together on a number of limited editions, for which we’ve been able to express our respective feelings, whilst at the same time maintaining a certain degree of consistency for Panerai – some aspects of which have never changed and which never will. That hasn’t stopped Laurent trying to alter a few, but he’s never managed! Well, that’s between ourselves, but I can go so far as to tell you that for instance, Laurent knows that if he wants to try and comment on any of these immutable aspects, he sends the message via other channels – through my friends, for example. He knows that I won’t give in, but he tries anyway. He doesn’t give up easily! Guilty m’lord! More seriously, the main thing at the end of the day is that we agree and as Angelo very rightly says, that we stay consistent with respect to the band and its positioning. And in the case of Panerai, with respect to the fans, too, perhaps? Have they changed over the years? Everybody changes with time. 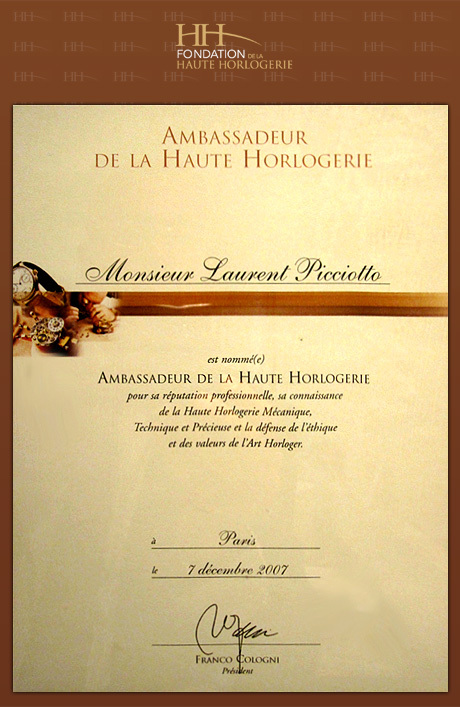 When I began, what Paneristis had in common was their passion and their extremely detailed knowledge of the products. They were real enthusiasts who would sometimes criticise us – but always whole-heartedly and passionately. Today, the circle has widened to include some we might see as being more opportunistic. You can sometimes see a certain degree of speculation. But given that we produce only very limited editions, it’s only natural that our timepieces quickly become collectors’ items. That’s due to Panerai’s business model. High demand and a small supply of watches. How do you manage a distribution network based on these two contrasting variables? It is indeed an equation that requires a lot of accuracy to solve. At one time, we had a lot of outlets – too many, if the truth be told. I set about cutting the number in favour of proprietary brand stores. However, our philosophy is not so much that of owning all our outlets but rather of being present only in the best. That’s why names like Chronopassion mean a lot to us. We have a specialist clientele, so it’s vitally important to have the best specialists. Doesn’t there come a point at which the complementary nature of flagship and multibrand stores turns into competition? That’s a fact; it’s always been true. A brand store makes its living from its watches. An independent specialist store like Chronopassion makes its living from its choices. A third category – generalists – are increasingly under pressure. If those stores can survive it will be through training and gaining a higher level of skills. But at the end of the day, it’s not a case of being for or against any of these business models. Each one has its advantages. Flagship stores allow you to centralise an offer; an independent store can be open to new collections whilst offering a high level of expertise. Increasing the output for a brand like Panerai wouldn’t solve anything. Whatever you do, demand will always outstrip supply. Whether we’re talking about products or outlets, the selection criteria must be the same – quality. As I was saying, we had too many outlets. So I cut the number from 500 to 350. It wasn’t a question of cutting just for the sake of it. Proof of this is the fact that we’ve just opened five outlets in China! It’s simply a matter of concentrating our efforts on the added value we bring to our outlets. In any case, this trend for specialisation isn’t new. It’s been around for at least thirty years. 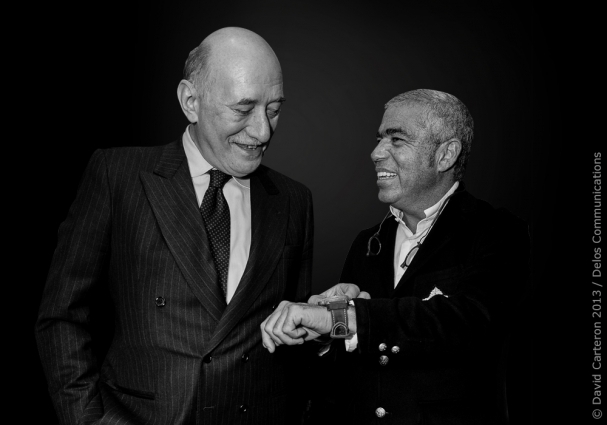 Mr Bonati, you said that when you first took over Panerai, it had “no products, no content and no branding”. Would you still be game in 2013 in the same circumstances? Yes, with no hesitation whatsoever. The brand had real potential. It’s a question of faith and conviction. Would you say the same, Laurent? I think so, yes. I get canvassed every year by a score of brands. This isn’t the right place for perhaps ten of them – although that’s not a criticism of them in and of itself. Three or four of the other ten finally make their way here. Panerai would have been one of those. Firstly because Panerai is backed by the power of the Richemont group. But also – and more importantly – because these are watches that stir the emotions and generate genuine feelings. And that’s rare enough not to be missed.